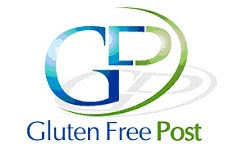 ellehermansen: The Gluten Free Post: Officially on the Team! You'll be seeing a lot more of me when it comes to gluten-free blogging on glutenfreepost.com. Click here to ch-ch-ch-check it out! 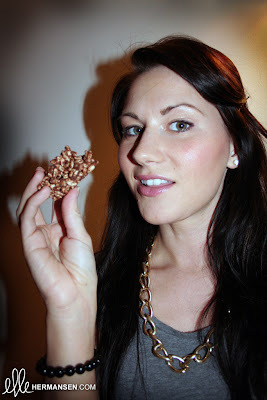 In my last post, you may notice some chocolate weirdness on my dinner table, well I can tell you it's the easiest gluten-free treat, ever; Chocolate Puffed Rice Treats! 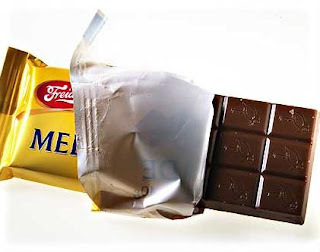 Melt an appropriately sized chocolate bar of choice in a pot (Norwegian milk chocolate works great!). 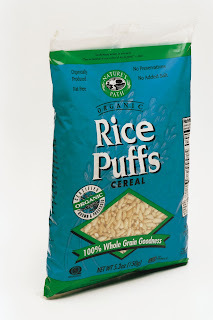 Throw in puffed rice (Nature's Path is awesome but unavailable here) and stir with a spoon until it's all covered. Use two tablespoons to form the puffed rice into small cakes and place them into muffin forms. If you don't have that available - just dallop them onto a cookie sheet. It makes one of the easiest, most addictive treat you'll ever taste in your life. You get proper sized bags of puffed rice and chocolate in one package. Helps kick the cravings!